Finding the right editor can be daunting. And the wrong editor? Devastating! How do you know who (or whom) to trust? Easy. Use the insider information, tested tips, and wealth of worksheets shared by a seasoned editor to guide you. What if an editor doesn’t get you as a writer? Or doesn’t understand your voice? Or doesn’t have the experience they said they had? Or what if your personalities don’t mesh? How do you protect yourself—and your book—and yet build trust with an editor? Simple. Let a seasoned editor give you all the information—and secrets—you need to know! 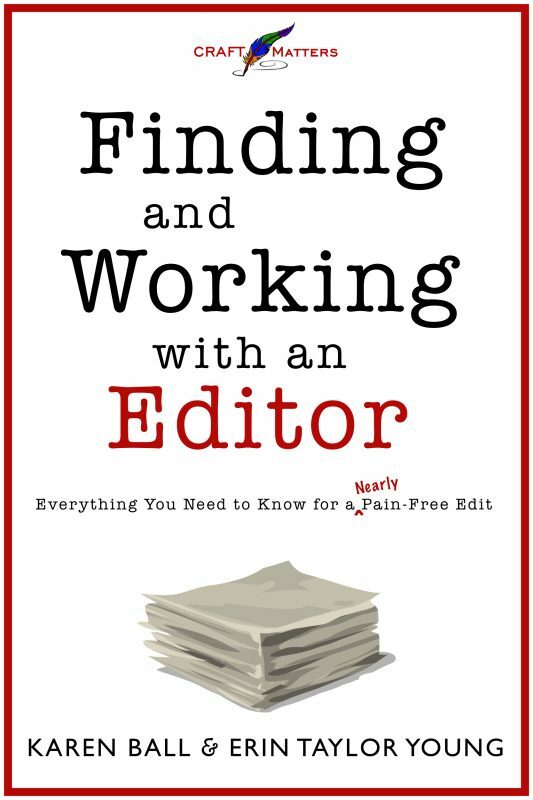 From knowing what editors do to evaluating if you’re ready to be edited to guidelines for effective contracts with an editor, this book will give you all the insider information you need to find and work with the best editor for you! Writers never get better alone. The ones who improve invariably do so because of a working relationship with a talented editor. But where do you find this rare bird? How do you know what, exactly, they can do for you? What the cost might be, and what an agreement should look like? This clear and informative book will tell you all that, and more. If you're serious about a writing career, do yourself a favor and digest this book right now. Then you'll know what to do with that manuscript you've just completed ... and all the manuscripts after that. I needed this book twenty years ago when I was just starting to get published. This book has absolutely everything you need to know to find an editor, work professionally with her, and unleash your heartbreaking work of staggering genius on an unsuspecting world. I’ve sometimes thought I should write a book on how to work with an editor without breaking any bones. Now I don’t need to. Karen Ball was my editor for years and taught me so much. You won’t find anyone more skilled in editing. Here she teams up with Erin Taylor Young to tell you everything you need to know about the editor/author process and relationship. Ball and Young have created the consummate guide for any author ready to advance their writing to the next level by partnering with an editor. With spot-on advice to inspire and instruct, as well as entertaining stories that illuminate the concepts taught, you’ll be empowered to take that next step. By following this guide, be prepared to form an incredibly beneficial relationship with your editor, steeped in mutual respect. A win-win!